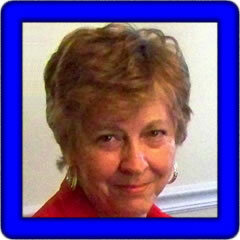 (July, 2010) Hi, I’m Judy, born in Charleston, West Virginia in 1941. I've been married to Larry for 52 years. He's not a musician, but luckily, he has always liked to hear me play and has helped me tote my keyboard wherever needed. We have two lovely daughters, Vicki and Kelly, and three grandchildren. My mother said I was able to hear a tune and play it on the piano when I was about five. She started me on classical lessons when I was seven but since I had the ability to play all types of music, I quickly became the accompanist for all junior and high school musical choirs and events and became a church organist at age 14. At age 15, while visiting a music store booth at the West Virginia State fair, where Lowrey organs were being displayed, I asked if I could play one. I guess I did ok as they offered me a job as a demonstrator. Later I provided organ lessons to all organ purchasers and did a twice weekly TV show for them demonstrating the Lowrey organs. Quite an experience for a teenager. Having the opportunity as a young person to do all this “fun playing” was probably detrimental to my classical training advancement but it has been a grand musical life for me, regardless. My primary career was in Mortgage Lending Management, retiring from a large bank in West Palm Beach, Florida in 1994. We eventually moved back to West Virginia in 2000. Music has always been a secondary career for me, but my experiences have been very rewarding. I have been organist, pianist, choir director, accompanist and vocalist for choirs and civic groups my entire adult life. I also did a lot of solo performances at various hotels and clubs. I’m now delighted to be the "town keyboardist" for civic events using my Yamaha and am the pianist for the local Baptist Church. Susie Drage, a fellow PSR Performer, has created her own album of songs. One of the songs, Send in the Clowns, features vocals by Susie and background accompainment by Judy Short on the Tyros4. Follow the link to hear this stunning performance. Getting my Yamaha PSR-S900 is a dream come true. I am able, at long last, to record some of my music without having to go to a studio so that my daughters might have some tangible evidence of my music when they reminisce about the "old days." This is a perfect hobby for a retired musician -- using the arranger, learning to do the steps for recording CD’s etc. Keeps us on our toes thinking of the next step. Finding this PSR forum and the wonderful folks who spend so much time and effort making it possible is so much appreciated. Judy provided 10 songs in midi format. These were created on the PSR-S900 (S9). Individual songs are shown in the table below and any one song can be downloaded by right-clicking on the song link. The table displays the song title, tempo (T), time signature (TS), lyrics (L), chords (C), where possible, the style used, the original volume (V), and the keyboard used (K).